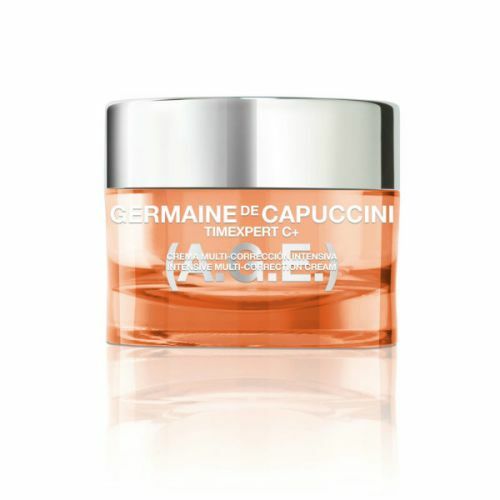 Germaine de Capuccini's Timexpert Collection has been developed especially for mature and ageing skin. The ethos behind the collection is to 'train' the skin to act younger by stimulating it to restore firmness and elasticity. Timexpert SRNS Intensive Recovery Cream uses Germaine de Capuccini's exclusive Zinc-Glycine Complex which restores the skin's energy levels, feeding it with restorative properties that reduce the visible signs of ageing. Editor's notes: Perfect for those concerned with ageing / maturing skin. Powerful anti-ageing cream for daily use. 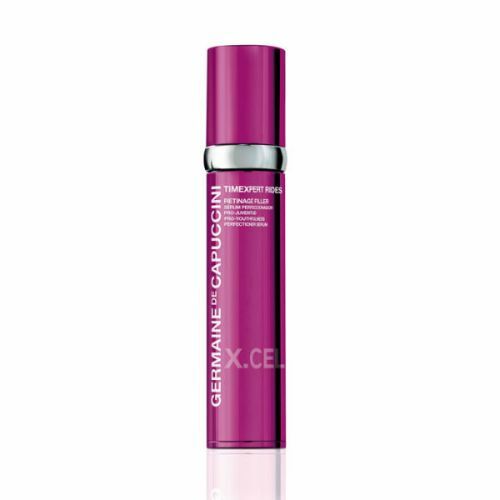 SRNS forms part of the Germaine de Capuccini Timexpert Collection. 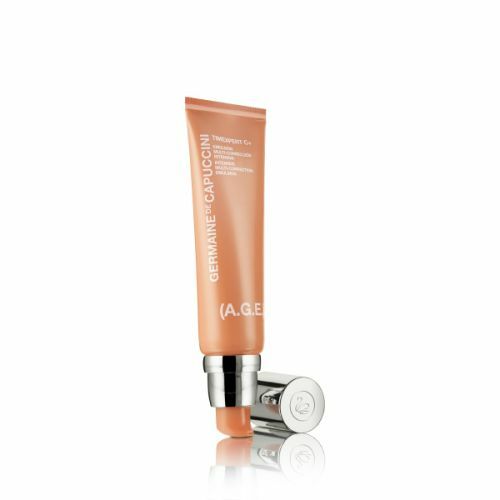 This award-winning anti ageing cream has been developed by a team of expert cosmetic chemists, incorporating a pioneering new age defying molecular structure - Zinc-Glycene Complex. Exclusive to the Germaine de Capuccini laboratories, Zine-Glycene completely synchronises itself with the skin promoting cell regeneration on a scale never seen before. 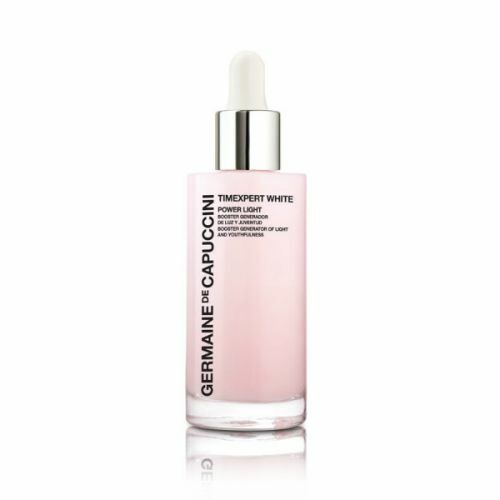 Timexpert SRNS Intensive Recovery Cream is one of the world's best anti ageing creams and as such is one of the most popular products in the Germaine de Capuccini Timexpert collection. Aqua (Water), Glycerin, Isododecane, Pentylene Glycol, Talc, Decyl Cocoate, Neopentyl Glycol Diheptanoate, Cyclopentasiloxane, Butylene Glycol Dicaprylate/Dicaprate, Glyceryl Stearate, PEG-100 Stearate, Batyl Alcohol, Helianthus Annuus (Sunflower) Seed Oil, Stearic Acid, Olea Europaea (Olive) Fruit Oil, Butyrospermum Parkii (Shea Butter) Extract, Ammonium Acryloyldimethyltaurate/VP Copolymer, Cetyl Alcohol, PEG-8 Beeswax, Caprylyl Glycol, Dimethicone Crosspolymer, Olus (Vegetable Oil), Dimethicone, Betaine, Caprylic/Capric Triglyceride, Lecithin, Bifida Ferment Lysate, Lactis Proteinum (Milk Protein), Hydrolyzed Hyaluronic Acid, Urea, Zinc Glycinate, Glyceryl Polyacrylate, Hydrogenated Vegetable Oil, Caprylhydroxamic Acid, Chondrus Crispus (Carrageenan) Extract, Euphorbia Cerifera (Candelilla) Wax, Lupinus Albus Seed Extract, Rosmarinus Officinalis (Rosemary) Leaf Oil, Hydrolyzed Sclerotium Gum, Polyglutamic Acid, Tocopherol, Tocopheryl Acetate, Sodium Citrate, Laureth-4, Laureth-23, Citric Acid, Potassium Lactate, o-Cymen-5-ol, Phenoxyethanol, Parfum (Fragrance), Limonene, Butylphenyl Methylpropional, Hydroxyisohexyl 3-Cyclohexene Carboxaldehyde, Potassium Sorbate, Hydroxycitronellal, Citronellol, Linalool. As directed. The 3 products in the set all come with individual instructions. Germaine de Capuccini's SRNS collection is perfect for those who have concerns about ageing skin.